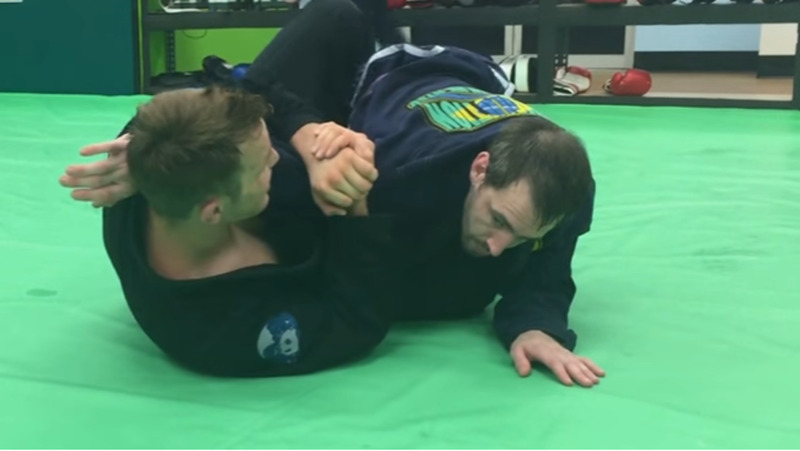 Leglocks are among the most rapidly evolving techniques of Brazilian Jiu-Jitsu, and as such, you often see subtle changes to techniques. Every so often, something comes along that's quite different from the normal "orthodox" techniques, allowing you to work a new move into your game. The "bear trap" is such a move. In this article, we'll explore three parts of the move: how to set it up, how to sweep (safely), and how to get the submission (again, safety is the main thing we'll have in mind). The entry to the bear trap begins much the same way an entry into X-guard begins. 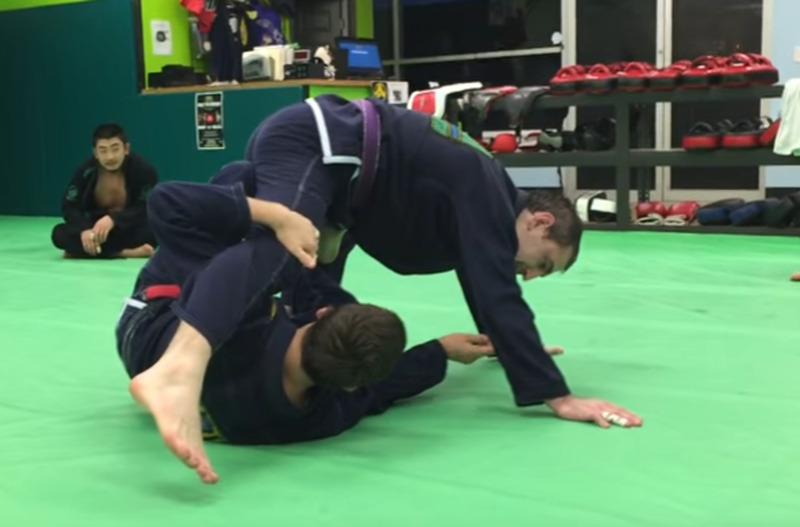 As you move to set up a classic butterfly guard sweep, your partner lifts their far leg up. This will allow you to slide underneath them in much the same way (remember to dive your head under along with your arm). 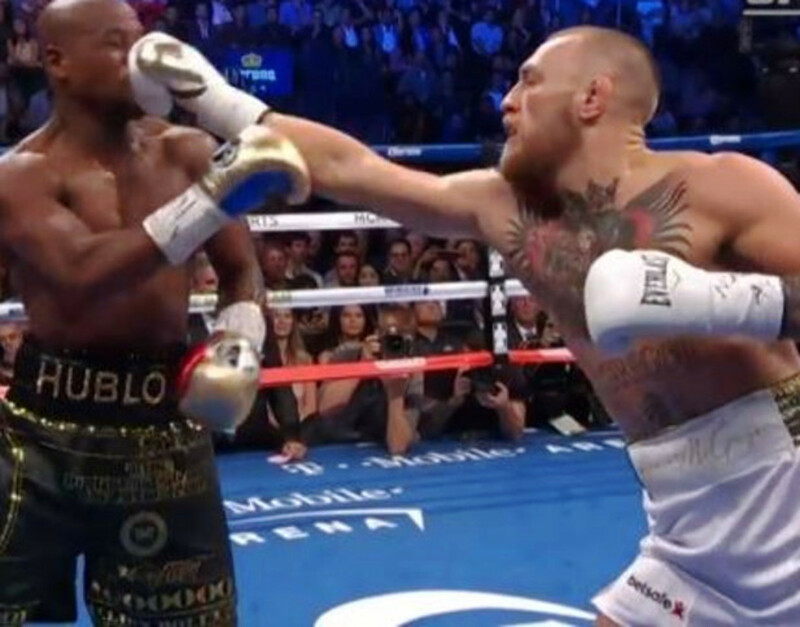 Your partner needs to leave their other knee on the ground for this technique to work; otherwise, you'd just sweep them from X-guard. As you get your partner's leg to "float", you can slide your thigh all the way behind their foot, and then triangle your legs to lock their foot in place, completely taking away their far-side base. Keep in mind that this is just one method of entry; any time you can get underneath and get your partner's leg elevated in this manner, you can snag a quick bear trap. 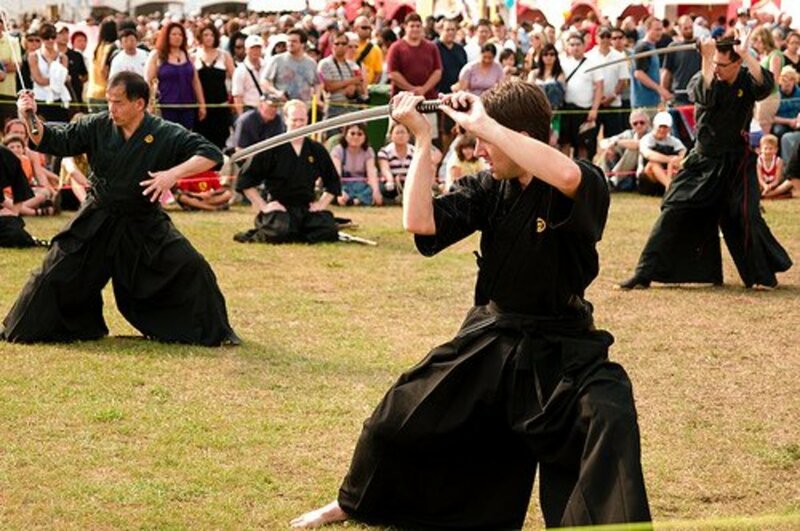 Keeping a grip with both hands on opposite sides of their belt will help ensure the setup goes well. Caution is the key word here. After doing the entry above, make sure that you understand how your partner's knee might be inadvertently injured. Don't push your shin (triangled legs) outward and toward your partner's back, as this is effectively the same torque as an inverted heel hook. Instead, apply pressure slowly and consistently outward and a little bit to your left (as in the video), or toward their front. This will create enough space so that you can let go of the belt grip and post, allowing you to come forward and get up on top. 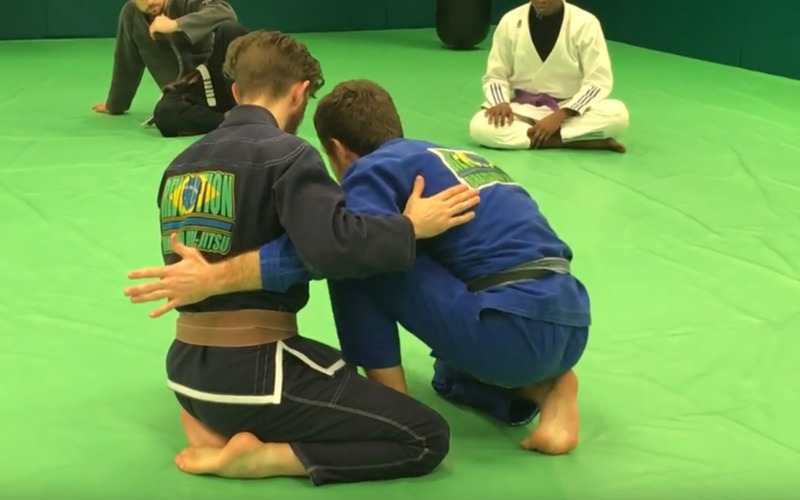 You may be able to pass from here if you can snag a quick crossface, but it's more likely that you'll get the sweep and then need to pass the open guard, as your partner will be able to create space during the transition. If you've got the setup and sweep pretty well under control, it's time to work on the submission. Use the same entry, but let go of the belt with both hands so that you can clasp your hands together around your partner's far thigh. This will allow you to pull their hips in toward you, while at the same time pushing outward with your inside shin. It's important that you use "live toes" on both feet (think: triangle choke finish) so that your shin is "engaged", driving outward to apply pressure on your partner's knee. Keep in mind that this is most definitely not simply a "pain submission", but instead will blow your partner's knee out if done properly. Because of the deceptive, often unfamiliar nature of the submission itself, it is doubly important that you use caution and steady, slow pressure when applying this submission. Many tournaments don't allow this technique until brown and black belt in the gi, and may not allow it at all in no-gi, so make sure you understand the rules of engagement, so to speak, before attempting; and for the love of all things holy, make sure your instructor is okay with you playing around with this position! Often times, the orthodox becomes so familiar it begins to lose its edge. 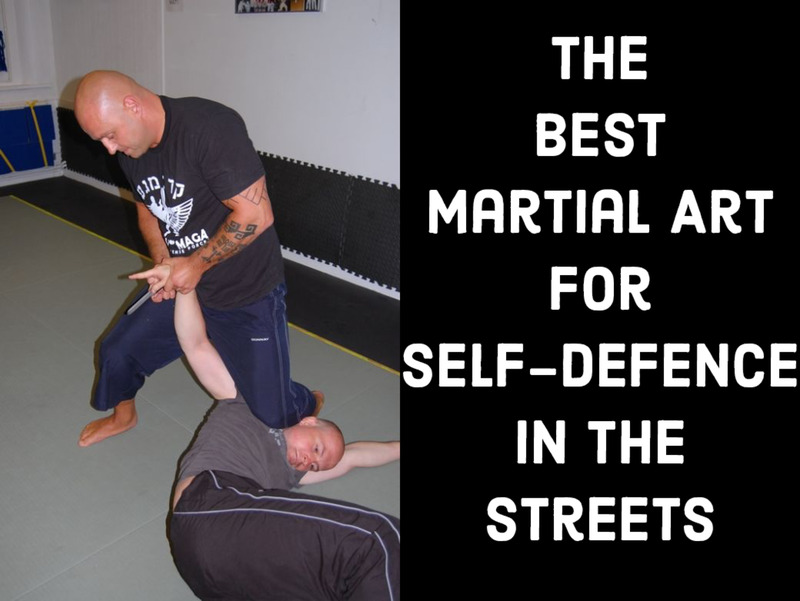 People adapt and evolve and come up with clever, creative ways to defend and escape. Throwing a curveball can be a fantastic way to keep things lively, and you can help push the art forward by playing around (safely) with your own variations of newer techniques. That's what jiu-jitsu is all about—never stagnant, always evolving, and you can contribute to the pool of knowledge by experimenting. As always, please let me know how these techniques are working for you!